Stony Brook Track and Field never had a Metropolitan Champion in the Pentathlon entering Friday, Feb. 1, but by the end of the afternoon, junior Alyssa Oviasogie immortalized herself in history by becoming the program’s first champion in the race with 3,296 points. Oviasogie’s performance was the highlight of what was a tepidly average performance by both teams. The women’s team finished sixth with a score of 58 while the men’s team finished seventh with a score of 33. Rutgers bested out 14 other schools in both groups with a combined score of 367.5. Senior Analise Kirby and freshman Jillian Patterson rounded out the top five of the Pentathlon, earning 11 combined points for their efforts. Senior Sarah Militano earned five points by hustling to a fourth place finish in the women’s 60 Meters Finals with a time of 7.73 seconds. Senior Melissa Riback earned four points by finishing fifth with a time of 1:16.62. Junior Clodagh O’Reilly finished second in the Women’s 1000 Meters Finals with a time of 2:59.20, her collegiate best. The duo of seniors Courtney Warden and Nikki Fogarty sprinted to third and fourth in the Women’s 60 Hurdles Finals, both in under 8.9 seconds. Senior McKyla Brooks earned ninth place in the Women’s Long Jump Finals with a top distance of 17 ’3.25. 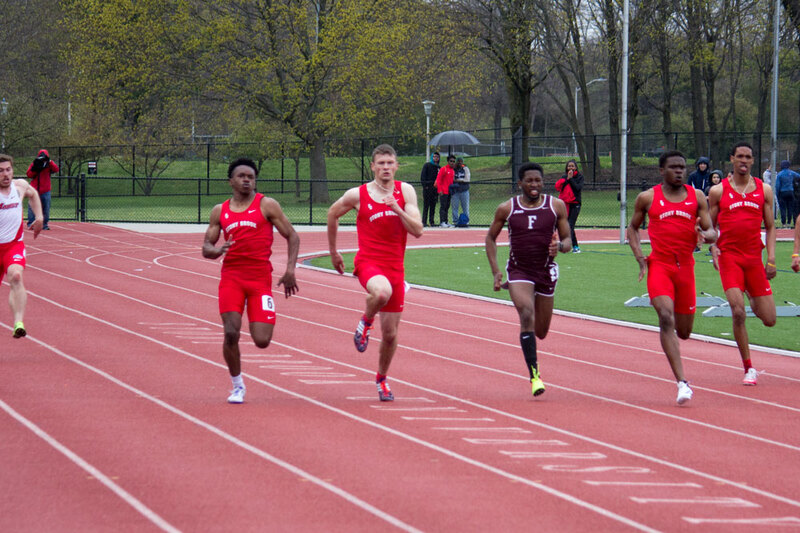 Junior Ahmed Galal topped the men’s performances by dashing to a fourth place finish in the Men’s 200 Meters Finals in 22.18 seconds, earning five points. Junior Sean Ideozu completed the Men’s 400 Meters Finals in 50.09 seconds and sprinted to the fifth spot. Sophomore Luke Coulter earned one point by finishing eighth in the Men’s 500 Meters Finals with a time of 1:05.94. The freshman trio of Jeremy Chen, Miles Ryan and Joshua Titus hustled to a fourth, seventh and eighth place finish respectively in the Men’s 60 Hurdles Finals, claiming eight combined points. The Seawolves will return to the Ocean Breeze T&F Facility in Staten Island, New York when they participate at the Fastrack National Invitational on Friday, Feb. 8 beginning at 1 p.m.